The two brands came together to present a show that captures the mood of the contemporary woman - her confidence, elegance and love for fun, glamour and drama – the desire to stand out without having to try too hard. Lakmé Salon with designers Gauri and Nainika unveiled the chic and glamorous “The Art of Latte” collection- a colourful and breath-taking showcase of hair, make-up and fashion at Lakmé Fashion Week Summer/Resort 2019. 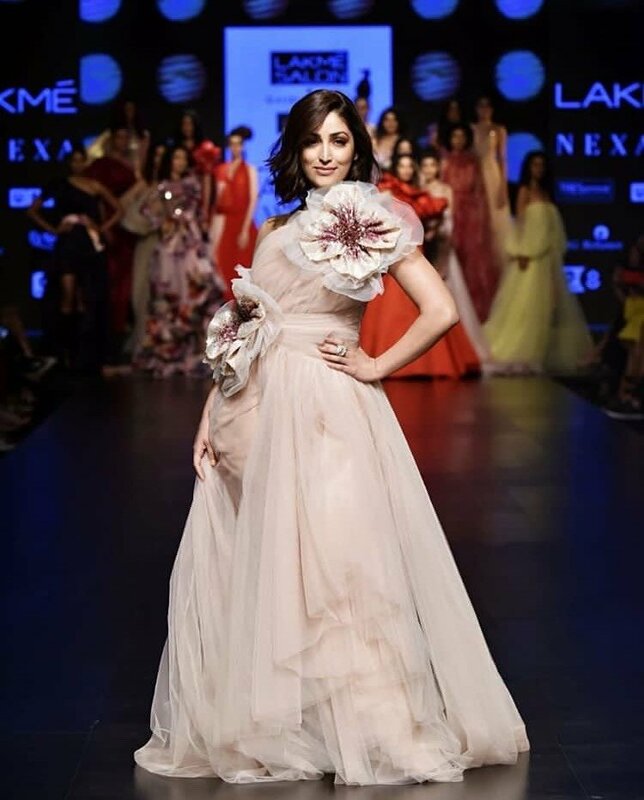 The stunning Yami Gautam walked the ramp for The Art of Latte collection as the show stopper. With free-flowing silhouettes, the collection by Gauri & Nainika had femininity at its core. Created in shades of red, pink and blushing nudes interspersed with bold floral prints, each piece, was designed to make a statement. Chiffon, crepe de chine, organza and micro crepe were the fabrics seen throughout the show. High-low dresses in signature floor-sweeping trains, billowing organza sashes, and breezy wraparounds, all added glamour and drama to the runway. The specially conceptualized hair looks for the show by Lakmé Salon’s Experts took inspiration from their newest haircut and colour collection that brings the hues of coffee brews to hair colour. The hair was interspersed with pops of colour - from deep copper to vivid berry tones, icy blues to gentle hazelnut highlights to create statement-looks on the ramp. The make-up looks channelled colour to create a drama on the ramp. The hues ranged from soft pink sweeps to electric blue, block orange eyes and coral lids – taking from the Pantone colour of 2019. Nainika, on behalf of designer duo Gauri & Nainika said, “We are excited to be back at Lakmé Fashion Week and couldn’t have asked for a better collaboration than Lakmé Salon to showcase our newest collection. Our collection is a mix of statement-making silhouettes that range from easy to dramatic; created to add glamour and drama to the wardrobe. The earthy tones and dessert hues compliment “The Art of Latte” colour palette of Lakmé Salon’s latest offering. We are proud of this collaboration with Lakmé Salon, where together, we have created a glamorous look for the free-spirited woman of today. Lakmé Salon and Gauri & Nainika presented ‘The Art Of Latte’, a collection that was the perfect fashion story for the everyday glam looks visualised for Summer/Resort 2019.